We went round by round comparing beer scenes of each respective school. And while not every school is located in a town with a brewery we did consider nearby breweries. So which university’s beer scene would have their one shining moment in this year’s bracket? Drew Davis, Karl Kalinkewicz, Danielle Engel and Tristan Chan all weighed in to crown our tournament champion. The Pick: This is surprisingly a nail-biter of a matchup, with a handful of locally loved breweries that are all conveniently close to campus, but with Barrel Culture serving as the trendy riser and Fullsteam adding senior depth, Duke takes it. The Pick: If we were to include the Tampa area in this showdown it’d be a barn burner, but since we’re talking just Orlando area breweries, Richmond moves on easily to the second round. The Pick: While Maryland has the edge on fielding a senior team, Nashville’s risers have more talent. We’re giving the first round upset to Nashville. Breweries: Two Roads Brewing Company, OEC Brewing, Relic Brewing, Fat Orange Cat Brewing Company, New England Brewing Company. 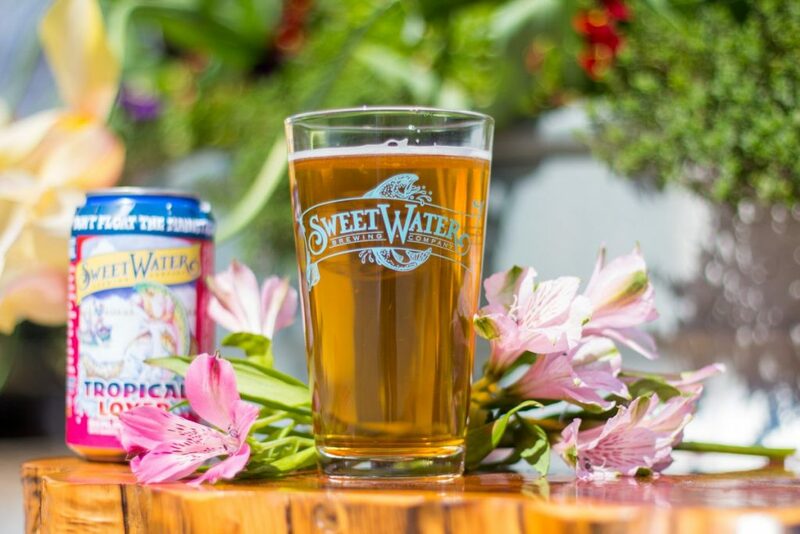 The Pick: Both have senior, established breweries nearby(Two Roads, Abita), as well as some risers pulling their own weight, it might not be the deepest talent rounding out the starting five on each side, but it’s a close matchup nonetheless. In the tossup, we’re giving the slight nod to the Ivy Leaguers at Yale. The Pick: This is truly a toss-up game. 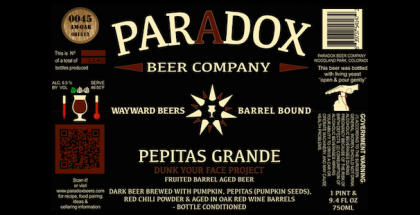 Play this one out 10 times and you’d have five wins for both cities, however, aside from AtG, Louisville is just a little too green and Minnesota has a little more star power in the likes of Barrel Theory and Fairstate. The Pick: When you’ve got Bells, Dark Horse and New Holland so close by, and really no heavy hitters within a short drive of Peoria, it’s no-contest that Michigan State wins this one. Duke vs. VCU – The second round of the tournament is always a hotbed for upsets and we’ve got ourselves a big one here. VCU’s starting five breweries just have a bit more star power and edges out a talented Durham beer scene. VCU moves on to the Elite Eight. 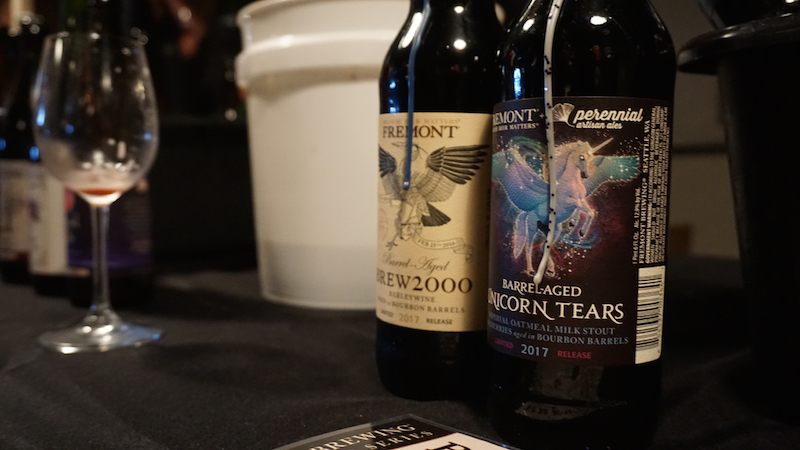 Liberty vs. Saint Louis – Liberty may have been the feel-good story of the first round but their run ends when taking on the herculean beer scene in Saint Louis. Saint Louis advances. 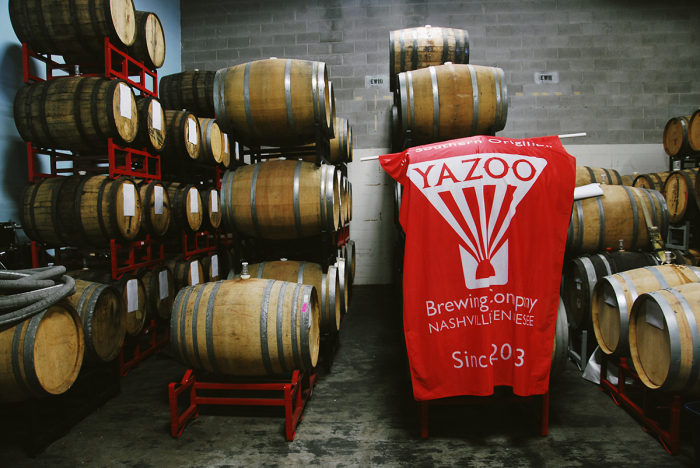 Belmont vs. Yale – Yale may have skated through the first round based on strong breweries that are within the vicinity of New Haven, but with so many killer breweries right in Nashville, Belmont gets the win in this matchup. Minnesota vs. Michigan St. – Similar to the previous game, the Minneapolis / Saint Paul Twin Cities house too many contenders within their close proximity, whereas East Lansing requires an hour plus drive to the heavyweights that helped get them there. Purely based on proximity, Minnesota moves on. VCU vs. Saint Louis – Perhaps one of the most prolific matchups of the tournament thus far, both teams field tremendous talent across their starting five. While Saint Louis might have a little more star power at the top, this tournament is about who’s hottest now, and we’re giving the winning edge to the more complete team in the scrappy start-ups from VCU. Belmont vs. Minnesota – While both teams are pretty evenly matched in this one, Belmont has the edge when it comes to a mix of established upperclassmen and diaper dandies. Belmont moves on in a close one. VCU vs. Belmont – Nashville has done well in representing an emerging but thriving beer market but Richmond Virginia’s beer scene is en fuego. VCU moves on to the Final Four. 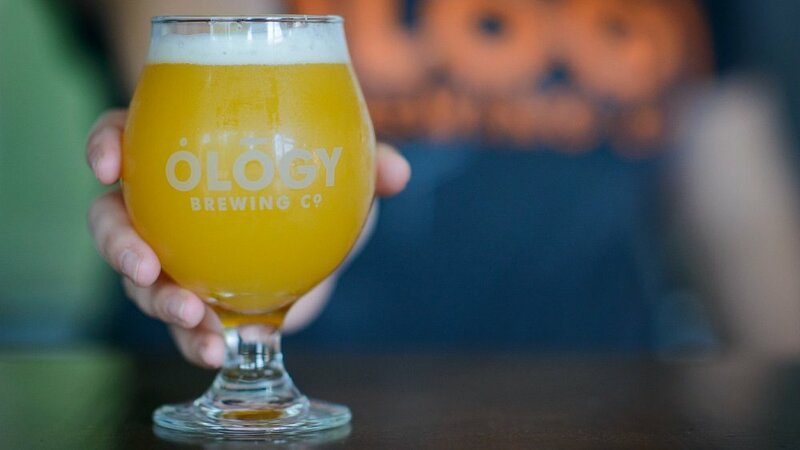 The Pick: While Gonzaga trots out a solid lineup roleplayer breweries, Brix City and Melovino have a couple of quality beers. Murder of Crows from Melovino may be the best mead I have had. Fairleigh with the upset. The Pick: Baylor doesn’t put up much of a fight against the zone defense of Syracuse’s downtown breweries, many which are walking distance from each other. Syracuse easily moves on to the next round. The Pick – The outer regions of Kentucky might do well in a Moonshine Madness, but here Marquette takes an easy opening-round victory. The Pick – While Tallahassee has some reliable role players, and Ology is a rising star, Vermont is stacked. Magic Hat, the one nationally distributed brewery and perhaps the best known on the list, is the one the team is having to hide on defense. Vermont looking strong for a deep run. The Pick – Buffalo needs a few more years to establish its young crew with a lot of potential (Thin Man particularly has had a few all-star performances), but the established stars push ASU through to the next round. The Pick – A quick 10-minute drive north to the Ohio/Kentucky border presents a number of good options, whereas a 10-minute drive out of Lubbock will put you into the abyss of the Texas panhandle. Northern Kentucky moves on. Additionally, Braxton Brewing is making some of the most underrated barrel-aged Stouts in America with their Dark Charge series. The Pick – This is, unfortunately, the part of Florida that college students cannot make their tuition payments by selling pastry stouts on the secondary market. Reno, behind the play of Revision’s solid haze game, has a solid set of breweries that could make a surprise run in this tournament. Nevada through. The Pick: A real barnburner of a matchup. 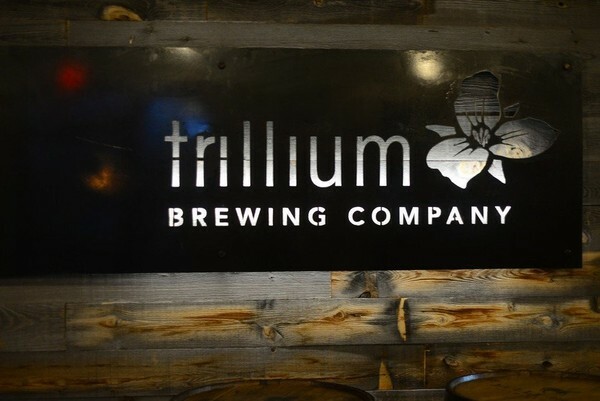 Both have a strong concentration of breweries in a small area, walking distance from campus and stadiums. In these games, it often comes down to the team with the best player, and both Jolly Pumpkin and HOMES drop huge games for Michigan to help them move on. Farleigh Dickinson vs. Syracuse – Everyone loves a Cinderella story, and Brix City and Melovino power past Syracuse’s steady, but a predictable zone of breweries. Farleigh with a nervous victory. Marquette vs. Vermont – If we were playing in a pre-3 point era, the Pabst/High Life/Schlitz group would have done some damage, but Vermont is Steph Curry establishing the way that the modern game is played. Vermont by double digits. ASU vs. Northern Kentucky – While the Cincinnati/Northern Kentucky area is starting to develop an impressive scene, it’s just not enough to compete with the Phoenix/Scottsdale area and their blue chippers move on to the next round. Nevada vs. Michigan – Perhaps the most closely contested battle in this region of the bracket. The starting fives are a wash, so the fact that you could take a quick weekend trip to Kuhnhenn, Schramms, or Woodbridge Brewhouse gives Michigan the edge. Fairleigh Dickinson vs Vermont – The dream is over for Fairleigh Dickenson. Vermont has too much firepower for this plucky upstart to handle. Even if you expand the range for FD to include NYC, doing the same for Vermont creates a monster of a team. Vermont still looking strong. ASU vs. Michigan – I think Wren House and Arizona Wilderness prove to be too strong of a tandem for the Michigan starting five to handle. And if we’re going off proximity, it’s a clear, but narrow victory for ASU. 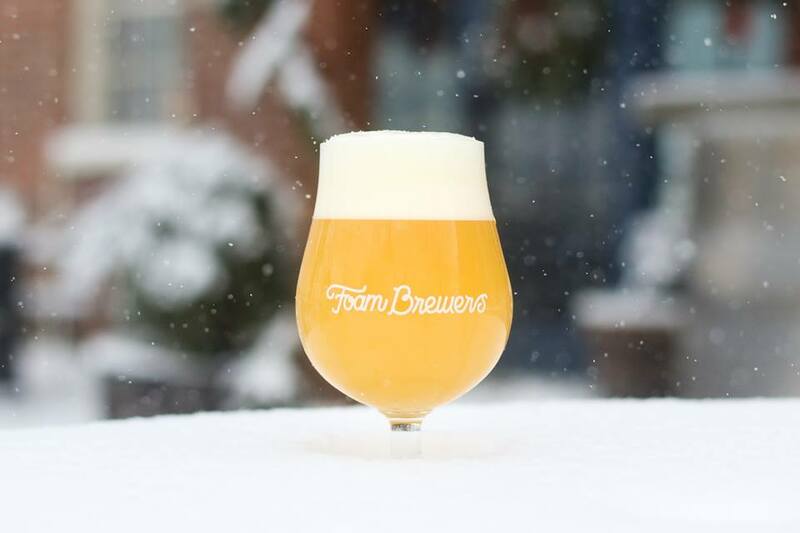 Vermont vs ASU – Foam Brewers may be the best brewery in the country walking distance from a college campus. Combine that with other walking distance breweries, and an endless collection of amazing Vermont brewers nearby and ASU, a solid team throughout the tournament, are just steamrolled by this juggernaut. Vermont to the Final Four. (Not so) Fun Fact: Alcohol sales in Boiling Springs were illegal until January 2018. Not a good start…. The Pick – While the plucky Gardner Webb showed heart, it’s Virginia in a runaway. It’s pretty fitting that two players for Gardner Webb both have “New” in their name because they’ve only been around for a year. Both have some solid offerings, but in the end, they’re outgunned by the deeper squad from Virginia. The Pick – You can usually count on an entertaining matchup in the 8vs9 slot. 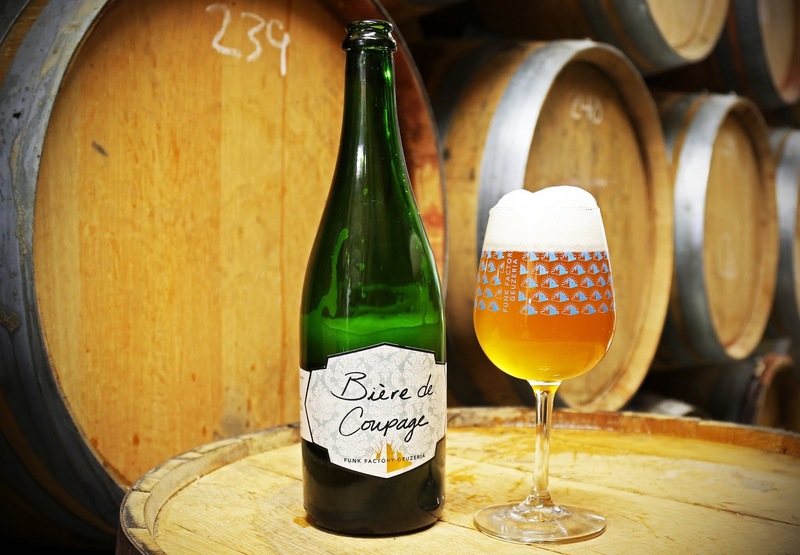 While neither is that well known for its beer scene, they both feature some sleepers with a lot of potential. Ole Miss’s Yalobusha is a strong contender who helped it make a run, but Oklahoma’s depth, led by the funky (405) Brewing pulled away in the end. 405’s innovative sours and minimalist design propelled the team to the win with support from the more-conventional Lazy Circles and Black Mesa. The Pick – A highly entertaining game. For Oregon, Ninkasi makes some great beers. Viking Braggot is unorthodox as hell but contributes to the whole scene by adding intrigue. Alesong is one of the country’s sneaky sleeper breweries producing incredible innovative beers. Elk Horn’s location right on the edge of campus and dedication to local products for its beer and food. All of this combines for a very competitive matchup with the Badgers. 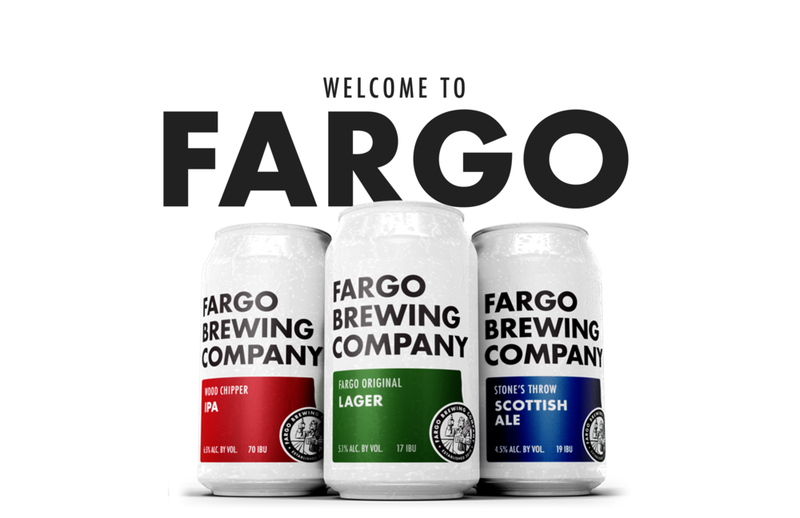 Sconny counters Oregon’s big 3 with an All-American squad led by Karben4, Funk Factory, One Barrel and Ale Asylum and narrowly moves on in this tough first rounder. The Pick: While Manhattan, KS is a surprise contender and puts up a good fight in the first round, Irvine just has way too many strong breweries within a short distance and moves on. The Pick: We’ve got another titanic first-round matchup here, but with Moraga so close to Oakland, the heavyweights of California narrowly edge out Philly. Saint Mary’s takes this round. **Special consideration as the hometown of Blichmann Engineering, maker of the Blichmann Beer Gun, which allows homebrewers to fill bottles from a keg to carbonate bottles without bottle conditioning. 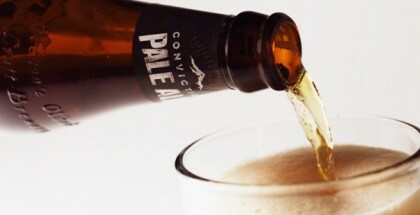 The Pick: Norfolk which is right next door to Virginia Beach reaps the benefits of Commonwealth Brewing leading the way for an emerging beer scene. And while Indianapolis is only an hour away from Lafayette, IN the ones in proximity just aren’t enough to warrant extending its perimeter. ODU moves on. The Pick: Cincinnati has become one of the hottest emerging beer scenes in the city with Rhinegeist and MadTree leading volume production and several emerging breweries like Taft’s Alehouse and Three Point bringing equally high-quality beer programs. Cincy cruises in this matchup. While Colgate has contenders like FX Matt, Ommegang and Prison City nearby, but when it comes to breweries within city limits, Knoxville has the slight edge with newcomer Elkmont Exchange leading the way. Tennessee gets the edge. Virginia vs Oklahoma – There are some solid breweries throughout the state of Oklahoma, but when you have a whole wealth just around Charlottesville, there’s just no chance to compete. Virginia moonwalks through the second round. Wisconsin vs UC Irvine – UC Irvine has a solid lineup up and down but no real all-stars to anchor that team, that said Wisconsin is loaded with heavy hitters which means they just overwhelm UC Irvine in this competitive second-round matchup. Saint Mary’s vs Old Dominion – Saint Mary’s has fielded a near dream team out of the Oakland area, and geographically its a bit of a disadvantage as Moraga isn’t exactly right next to Oakland so that could end up hurting them down the road, but in this matchup with ODU out of Norfolk, where it isn’t exactly close to anything strong either, Saint Mary’s man-handles ODU. Cincinnati vs Tennessee – Knoxville squeaked out of the first round and their magic has run out. Cincinnati is the complete package and just runs roughshod on the Rocky Top. Thank god we don’t have to hear that damn song any longer in this tournament. Virginia vs Wisconsin – Both teams deserved to advance to the second weekend, but Wisconsin just overwhelms Virginia in this matchup bringing expertise in all styles. Wisco moves on. Saint Mary’s vs Cincinnati – Our to emerge from the South Region continues their Cinderella story. As we alluded to in the round before Saint Mary’s has some flat out all-stars with Rare Barrel and Fieldwork but all of these breweries are a distance away from the actual school. Meanwhile, Cincinnati’s high caliber lineup are all within city limits for the Bearcats. Cincy moves on due to proximity and quality. Wisconsin vs Cincinnati – We’ve got ourselves a real rumble of the Midwestern states in this matchup. Two very different profile teams with Madison being anchored by the more experimental and slightly more highly touted Funk Factory Guezeria along with Ale Asylum and Karben4 who are also pretty innovative and experimental in their own right. And Cincinnati is lead by two regional powers in terms of distro, and footprint. That said I think beer-wise Wisconsin has the slight edge in this one and moves on to the Final Four. 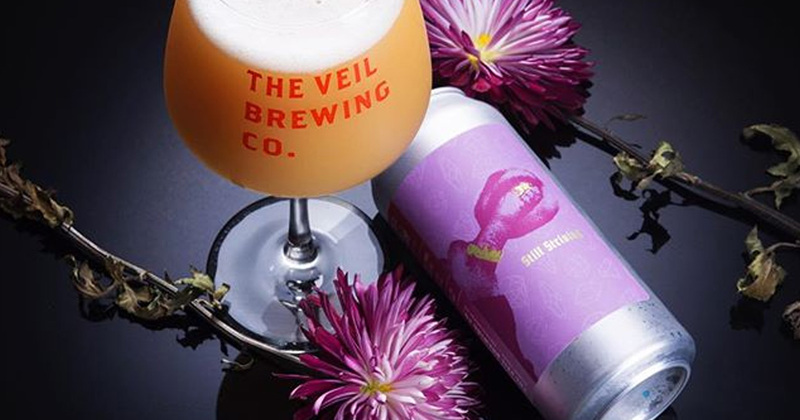 The Pick: There are some serious heavyweights near New Rochelle and if we were to give more weight on those, it’d be Iona all the way, but the fact that Brewery Bhavana, Big Boss, and Trophy all reside in the city of Raleigh, we’re going to have to give them the nod by default. 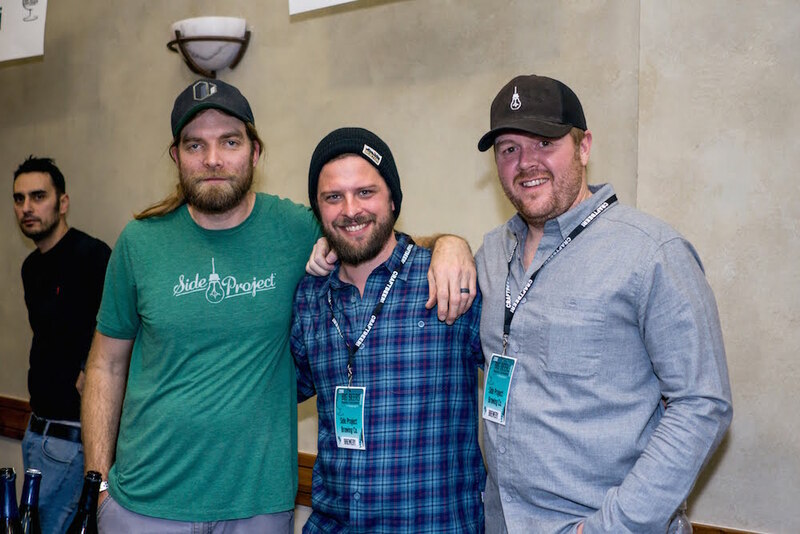 The Pick: No knock on Utah, as they often get a bad rap for their beer scene, when in fact they’ve got some really solid risers, but they’re going up against one of the strongest teams in the tournament when it comes to overall beer program. Washington takes this one easily. 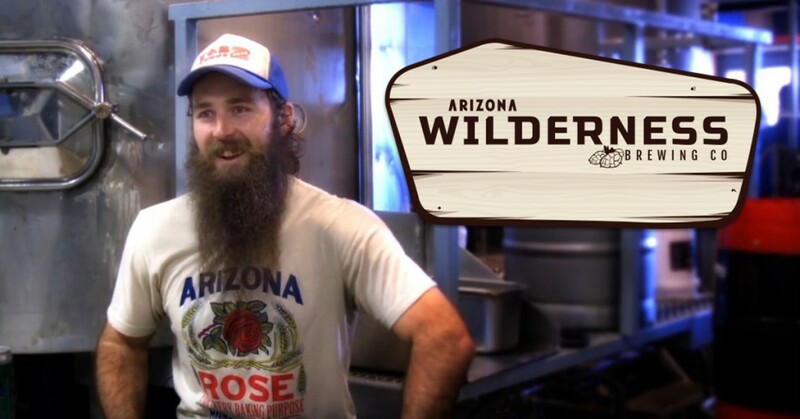 The Pick: Wild Leap alone makes Auburn a sleeper in this region, but Bosque Brewing has had such a storied brewing history that we’re giving the slight edge to New Mexico State. The Pick: While Free State in Kansas has long matched a high-quality culinary program with their beer program, it’s just not enough to overcome Boston’s prolific brewery scene. Northeastern moves on. The Pick: Once again the state of Ohio continues to impress, while Columbus’ scene has been slightly behind the likes of Cincinnati and Cleveland their brewery lineup is on the ups as well and handily surpasses Ames, IA. Ohio State is on to the next round. The Pick: While the state of Texas has some great talent all around, Houston just doesn’t have what it takes to match up with a power like the ATL. Georgia State advances. The Pick: A closely contested battle much like it was in real life of two equally matched teams. Both have some standouts but because of proximity and the duo of Birds Fly South and Iron Hill, we give the slight edge to Wofford. The Pick: We try to be complimentary but just like the real-life matchup, there’s not much that Abilene Christian has to work within this pairing. Kentucky moves on handily. New Mexico St vs Northeastern – We’ve got another second-round blowout on our hands as Northeastern out of Boston cruises past Las Cruces and New Mexico State. Ohio State vs Georgia State – In basketball the Buckeyes had a rough go, and Columbus also sees their run end in the Brewery Scene Bracket. The ATL moves on. 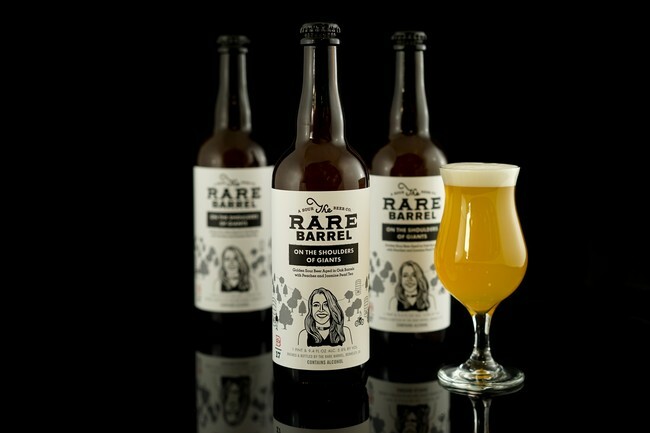 Wofford vs Kentucky – In an intriguing matchup of sleepers, Kentucky benefits from a stronger overall top 5 in breweries. Admittedly I’m a little biased as Lexington is my hometown, however, in my visits home, it’s clear that Country Boy and West Sixth have carved out a budding beer empire within the state of Kentucky and the risers behind them aren’t a huge drop off in talent either. Kentucky takes this one. Washington vs Northeastern – Now we’ve got ourselves a prime East Coast v West Coast heavyweight match up. While you’d typically like to see this pairing meeting up in the final four, we’ll have to settle this one a bit earlier. 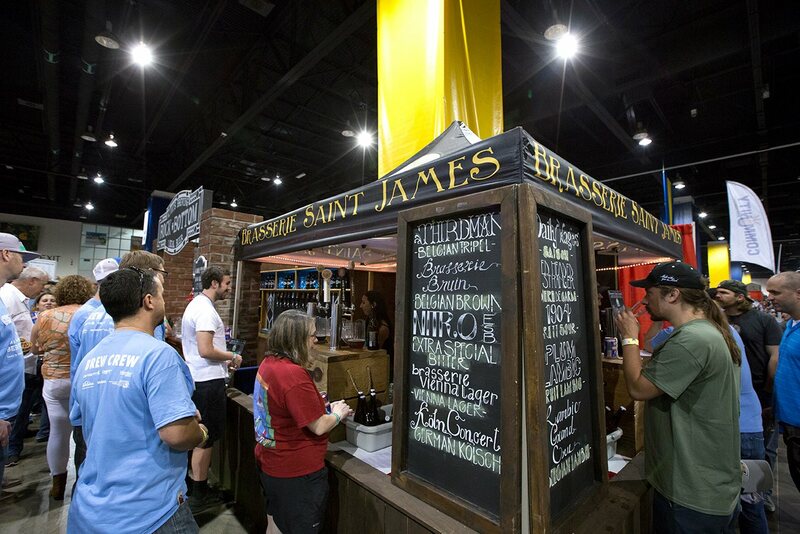 Washington brings one of the more complete beer scenes in the country and Boston is anchored by a few all-stars but in the end, Washington’s depth prevails and moves them on to the semis. Georgia St. vs Kentucky – As much love as I have for Lexington’s beer scene when taking on the incredible lineage and innovative stuff emerging from Atlanta’s craft beer scene, there’s just no contest. Georgia State moves on. Washington vs Georgia State – We’ve got another monster quarterfinal round lined up coming from the Midwest region. Seattle versus Atlanta. And while Atlanta has perhaps a bit more momentum behind them, they’re just not quite where Seattle is at the moment. This one is a barnburner but in the end, Washington prevails and moves on to the Final Four. VCU vs Vermont – And then there were four. They say the tournament is all about matchups and such was the case with this brewery bracket throwdown. 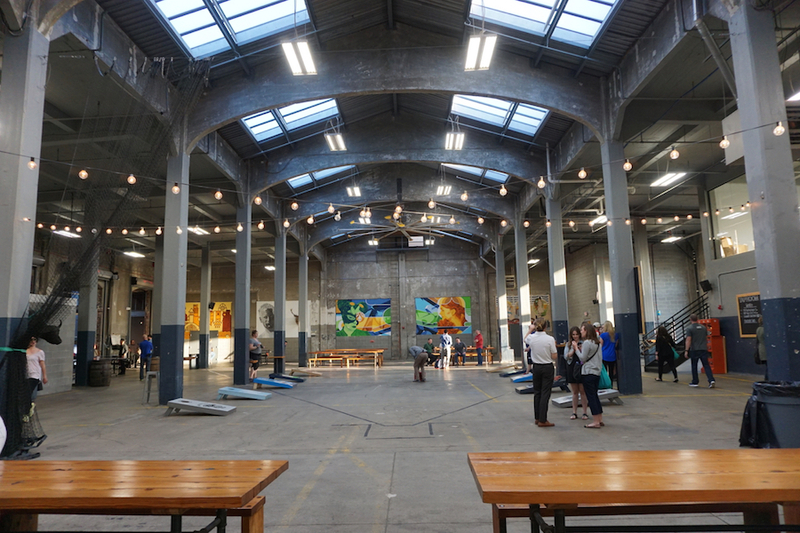 It’s not certain that either Richmond, VA or Burlington, VT’s beer scenes would advance to the semis in every bracket, but they did in this one. In a matchup of East Coast royalty, VCU prevails with a slightly more rich scene with a few stronger breweries in such close proximity. Wisconsin vs Washington – Now this is a matchup worthy of the Final Four. 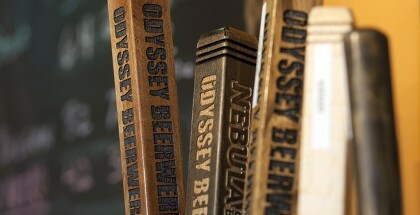 Two big-time beer cities with both lineage and talented risers. While this matchup could really go either way, we give the slight nod to Washington who has perhaps one of the deepest benches in terms of strong breweries against any city. This is our one shining moment folks, the moment we’ve all waited for. 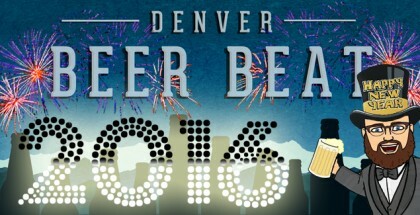 After 64 brewery scenes battled it out for supremacy we’ve finally determined the best of this year’s tournament. Keep in mind, that if schools like Colorado or San Diego State would have been in the tournament, the outcome might have been a little different. Sadly this final showdown isn’t as much of a contest as one would have hoped. While Richmond has a burgeoning beer community developing, Seattle’s brewery scene is one that is the clear favorite in this match up. The beer is tipped, and there you are. 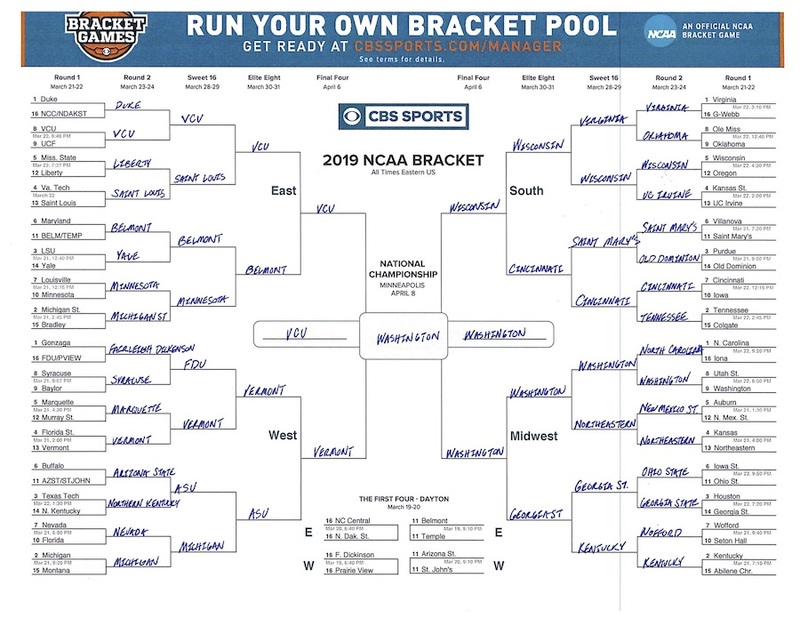 Congrats to the Washington Huskies, winner of the 2019 Brewery Bracket! Love this idea, but if y’all are going to do this get the players right. Florida State’s (Tallahassee) is Deep, GrassLands, Lake Tribe, Ology, and Proof. A starting 5 we’d DEFINITELY put up against a many in our regional. May not have any Zions in the group just yet, but none of these breweries are producing beers that’ll have you going one-n-done. Fool’s Fire is a passion project tucked inside a craft beer bar (a 6th man perhaps) and Canopy Roads hasn’t existed for years–(Graduate Assistant). Cool write up though, Cheers! I’d love to send y’all a few brews to see what’s going on in the Craft Capital down here. Apologies Matthew, by the term one and done, we should have used “diaper dandies” as in young risers. We agree that Tallahassee is extremely talented. Admittedly we would love more of a presence in Florida, if you ever have any interest in writing, I’d love for you to reach out. Our info is in the contacts page. Haha! “Diaper Dandies” absolutely works. No apologies necessary, I just love to get out and promote our PTPers, baby!! I’ll be reaching out for sure.